First attracting attention as a painter in Paris after World War II, New York’s own William Klein rose to art stardom in the 1950s as a photographer, shooting groundbreaking fashion spreads for Vogue and publishing the gritty street-level collection Life is Good & Good for You in New York, one of the definitive photographic records of his hometown. 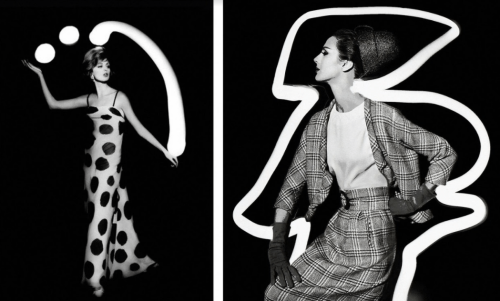 By the end of the ’50s Klein made the logical leap to the moving image, documenting the lights of Times Square in the Pop Art masterpiece Broadway by Light and returning to France for the fashion world send-up Who Are You, Polly Maggoo?, aligning himself with the Left Bank filmmakers in the process. (And even providing the English narration to Chris Marker’s La Jetée.) Klein once remarked he had “one American eye and one European eye,” and his exceptional films are marked by this duality, moving between continents and modes, going from delirious satires to stunningly intimate nonfiction portraits (of Eldridge Cleaver, Muhammad Ali, Little Richard, and more). On the eve of Klein’s 90th birthday, the Quad is thrilled to celebrate the utterly singular, hugely influential work of this living legend.